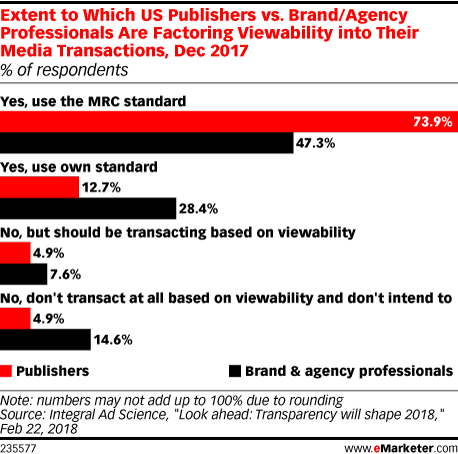 Data is from the February 2018 Integral Ad Science report titled "Look ahead: Transparency will shape 2018." 816 US digital advertising professionals at agencies (n=406), brands (n=58) and publishers (n=194) from the Integral Ad Science contacts database were surveyed online during December 4-15, 2017. Integral Ad Science is a global media valuation platform.